WASHINGTON, DC, July 15, 2014 (ENS) – The activities of the Department of the Interior contributed $360 billion to the U.S. economy in 2013, supporting more than two million jobs across the country, says Secretary of the Interior Sally Jewell. Secretary Jewell released the economic report on Friday, capping a weeklong series of events highlighting President Barack Obama’s vision of full, permanent funding of the Land and Water Conservation Fund, announced in March with his 2015 budget proposal. Prepared by Interior’s Office of Policy Analysis, the U.S. Department of the Interior Economic Report for Fiscal Year 2013 finds that national parks, wildlife refuges, monuments and other public lands managed by Interior hosted an estimated 407 million recreation visits in 2013 and that these visits alone contributed $41 billion to the economy and supported about 355,000 jobs nationwide. “This report illustrates to the American people that both conservation and development on public lands continue to support vibrant economic activities in communities across the country,” said Jewell. “It also demonstrates the economic benefit of thoughtful legislation, like the Land and Water Conservation Act of 1964, that took a small amount of revenue generated by oil and gas development offshore and reinvested it in local communities to support conservation and recreation opportunities for all Americans,” she said. The primary source of revenue for the Land and Water Conservation Fund is federal oil and gas leases on the Outer Continental Shelf. Only once in the past 50 years has Congress appropriated Land and Water Conservation Fund funding at the full authorized level of $900 million, and the program is set to expire without action from Congress. President Obama’s budget request proposes $900 million in discretionary and mandatory funding in fiscal year 2015, and proposes to permanently authorize $900 million in annual mandatory funding for the Departments of the Interior and Agriculture Land and Water Conservation Fund programs beginning in fiscal year 2016. Jewell held events this week in Texas, Alabama and Virginia to highlight the success of the Land and Water Conservation Fund over the past 50 years. On July 8 Jewell joined Fort Worth Mayor Betsy Price, co-chair of the bipartisan coalition of Mayors for Parks, to announce that $43.38 million will be distributed from the Land and Water Conservation Fund to all 50 states, the territories, and the District of Columbia for state-identified outdoor recreation and conservation projects. The funds enable state and local governments to establish everything from baseball fields to community green spaces; to provide public access to rivers, lakes and other water resources; to expand access to and interpretation of historic and cultural sites; and to conserve natural landscapes for public outdoor recreation use and enjoyment. Jewell emphasized that Land and Water Conservation Fund grants boost local economies and support jobs in the outdoor recreation and tourism industries. A recent report by the nonprofit Trust for Public Land found that $1 invested in land acquisition through the Land and Water Conservation Fund generated a $4 return in nature-based goods and services. ALBANY, New York, July 15, 2014 (ENS) – In two separate decisions, New York State Supreme Court Justice Roger McDonough Monday dismissed two lawsuits seeking to force the New York State Department of Environmental Conservation to halt its ongoing review of the environmental impacts related to high-volume hydrofracking. Fracking makes extraction of natural gas from dense shale such as that which underlies parts of New York state more economically possible. Operators pump a mix of water and chemicals under high pressure into the shale to release the natural gas. Opponents fear the health effects of groundwater and surface water contamination as well as environmental impacts such as surface and subterranean damage, loss of forest lands, habitat and species disturbance, and an increased number of access roads to well sites. Last year, the trustee of the bankrupt gas development company Norse Energy and the Joint Landowners Coalition of New York, JLCNY, brought suit in New York State Supreme Court in Albany County against the New York State Department of Environmental Conservation, the New York State Department of Health, and Governor Andrew Cuomo. Both lawsuits asked the court to compel the Department of Environmental Conservation to terminate its environmental review of fracking. Schneiderman’s office represented the state defendants in the cases, asking the court to dismiss the lawsuits. In his ruling, Supreme Court Justice McDonough dismissed the two suits in their entirety. But the plaintiffs have indicated they may appeal the rulings. 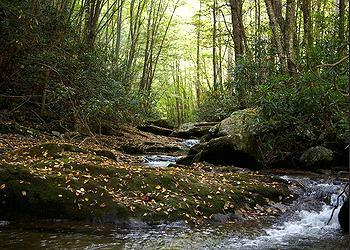 “Landowners have been prevented from using an environmental resource. These are fundamental property rights that cannot be denied by a court,” JLCNY attorney Scott Kurkoski told reporters. SHREVEPORT, Louisiana, July 15, 2014 (ENS) – The Houston-based branch of Canadian oil company CCS Inc. has agreed to pay a $2.5 million civil penalty for discharges into the Red River from its industrial wastewater treatment plant in Shreveport, CCS Midstream Services LLC. The settlement resolves water, hazardous waste and air violations from seven years ago, the Department of Justice, U.S. Environmental Protection Agency and the state of Louisiana announced Friday. CCS acquired the plant in 2006 through its purchase of two closely held companies owned by John Emerson Tuma. Tuma is now serving a five-year prison sentence for illegally discharging untreated and improperly treated wastewater from the plant into the Red River and Shreveport Publicly Owned Treatment Works. Inspections by officials from the EPA and the Louisiana Department of Environmental Quality following the sale led to the discovery of these violations and others, including unpermitted storage and improper handling of hazardous wastes and sludge, unpermitted stormwater discharges and noncompliance with Clean Air Act requirements for benzene-containing wastes. EPA and DEQ records revealed by the “Shreveport Times” newspaper in 2008 show official concerns about the presence of dangerous toxins, such as benzene, toluene and xylene, in wastewater and sludge treated by the company, and irregularities in water testing and record keeping. Yet, CCS, formerly ARKLA Disposal Services, Inc., still sought permission to discharge wastewater and stormwater into tributaries of the Red River, the records show. Finally, CCS stopped wastewater treatment operations at the facility and under EPA supervision, removed the hazardous wastes illegally stored there. CCS spokesman Walter D. James III told the “Shreveport Times” that the company self-reported the violations to the EPA after an employee made management aware of stormwater overflows from the facility. The $2.5 million civil penalty will be split evenly between the United States and the State of Louisiana. The settlement, filed in the U.S. District Court for the Western District of Louisiana, is subject to a 45-day public comment period and approval by the federal court. WASHINGTON, DC, July 15, 2014 (ENS) – Wetlands in the Prairie Pothole Region declined by an estimated 74,340 acres between 1997 and 2009 – an average annual net loss of 6,200 acres, reports the U.S. Fish and Wildlife Service in a new study. “Extreme weather patterns, rising agricultural commodity prices and oil and gas development are threatening millions of acres of prairie wetlands, putting further pressure on the most valuable breeding area for ducks in the Americas,” said Service Director Dan Ashe, releasing the report June 30. “This report highlights the need for continued vigilance in monitoring and protecting the Prairie Pothole Region to ensure it remains healthy for waterfowl for generations to come,” said Ashe. The U.S. portion of the Prairie Pothole Region extends across parts of Montana, North Dakota, South Dakota, Minnesota and Iowa. Some 118 million acres of land, 21 million acres of grass cover and 2.63 million wetland basins support more than 300 species of migrating and resident birds. Termed America’s “duck factory,” this formerly glaciated landscape is the most productive area for nesting waterfowl on the continent. 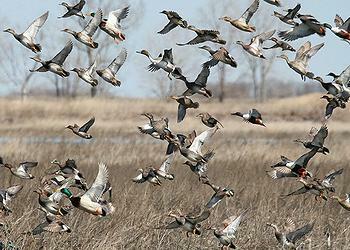 The region also provides stopover habitat for migratory waterfowl, shorebirds, waterbirds and songbirds. “These alarming losses signal the importance of private, state and federal efforts to conserve Pothole wetlands.” said Nancy Stoner, acting assistant administrator for the U.S. Environmental Protection Agency’s Office of Water. There has been an increase in conversion of wetland to deepwater habitat by flooding and upland land uses such as agriculture and development. Grassland and wetland losses have continued, and wetland basin numbers have declined in every state except Montana, which experienced a small wetland basin gain of less than one percent. The nonprofit Ducks Unlimited says the wetlands decline could mean a loss of breeding habitat for 100,000 duck pairs. The Fish and Wildlife Service study found the Prairie Pothole Region lost more than 107,000 wetland basins from 1997 to 2009. The Service is working to protect the Prairie Pothole Region through the Prairies Conservation Campaign. This initiative combines the efforts of partners and other state and federal agencies to raise public awareness and develop incentives for landowners to conserve grassland habitat. Another critical component of conservation in the region is the funding that is raised from the sale of federal Duck Stamps. Click here to view the full report, fact sheet, and questions and answers documents. WASHINGTON, DC, July 15, 2014 (ENS) – In response to a 2011 petition by WildEarth Guardians and Friends of Animals, the National Marine Fisheries Service has listed four populations of scalloped hammerhead shark, Sphyrna lewini, under the Endangered Species Act because of severe threats posed by human exploitation. Shark species worldwide are dwindling in the face of heavy fishing pressures; sharks are killed for their meat and fins, which are used in the Chinese banquet delicacy shark-fin soup. Sharks are also accidentally caught and killed in the course of fishing operations targeting other species. Experts consider fishing the greatest threat to all sharks. 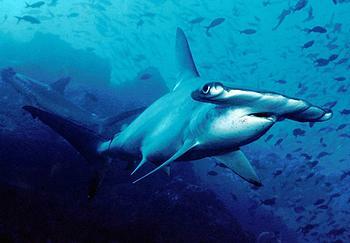 Most sharks, including the scalloped hammerhead maintain oceanic ecosystems as apex carnivores. Ecosystem stability and biodiversity, main goals of the Endangered Species Act, can suffer from the removal of a top predator. Scalloped hammerheads can be grouped into six distinct populations distinguished by genetics, geography, and behavior. The Endangered Species Act allows populations to be listed in the same way as an entire species or subspecies as long as they are distinct and significant. This allows for the protection of genetic variations and unique behaviors that might otherwise be lost. The new listing rule protects the Central and Southwest Atlantic Distinct Population Segment and the Indo-West Pacific Distinct Population Segment as Threatened and the Eastern Atlantic and Eastern Pacific Distinct Population Segments as Endangered. “The listing of the scalloped hammerhead is an important indication that the human exploitation of marine species has taken its toll,” said Michael Harris, director of Friends of Animals’ Wildlife Law Program. Listing species under the Endangered Species Act has proven to be an effective safety net for imperiled species. More than 99 percent of plants and animals listed under the act persist today. Proponents say the law is especially important as a bulwark against the current extinction crisis. Due to human activities, scientists say plants and animals today are disappearing at a rate much higher than the natural rate of extinction. Scientists estimate that 227 species would have gone extinct if not for listing under the Endangered Species Act. Listing species with a global distribution can protect the species in the United States and help focus U.S. resources toward enforcement of international regulation and recovery of the species. WASHINGTON, DC, July 15, 2014 (ENS) – More than 5,500 buildings nationwide are competing to reduce their energy use in the U.S. Environmental Protection Agency’s fifth annual Energy Star Battle of the Buildings: Team Challenge. In support of President Barack Obama’s Climate Action Plan, which calls for businesses to halve the amount of energy they waste over the next 20 years, the competition targets wasted energy in commercial buildings. In the only coast-to-coast competition of its kind, dozens of different types of commercial buildings are facing off in this year’s Energy Star Battle of the Buildings. It is intended to motivate businesses to improve energy efficiency, reduce climate-warming carbon pollution, and save money. “The competitive spirit is alive and well among the building teams working to improve their energy efficiency in this year’s Battle of the Buildings,” said EPA Administrator Gina McCarthy. “After four successful years, we’re excited to see the innovative ideas that will emerge from the competitors as they find new ways to save energy and money while reducing greenhouse gas emissions and protecting the environment,” McCarthy said. This year’s theme, “Team Challenge,” features teams from five or more buildings who will work together to reduce their collective energy use as much as possible over the course of a year. In New Castle County, Delaware, 13 elementary schools will compete as part of a team against teams from their county’s five middle schools and six high schools. In Hillsborough County, Florida, fire stations will team up to compete against libraries. Teams will optimize or upgrade equipment, retrofit lighting, and change occupants’ behaviors. Competitors will measure and track their buildings’ monthly energy consumption using EPA’s online energy measurement and tracking tool, Energy Star Portfolio Manager. The team that reduces its buildings’ average energy use the most, on a percentage basis over a 12-month performance period, will be declared the winner. In addition to the team competition, 700 individual buildings are also competing in a special water reduction category, and will work with EPA’s WaterSense program to apply best practices for commercial building water management. EPA will maintain a website devoted to the competition, featuring a list of the competitors and their starting, midpoint, and final standings, a live Twitter feed where competitors will post updates on their progress and an interactive map of the competitor’s locations. Midpoint results will be posted in October, with the winner announced in April 2015. In total, last year’s competitors saved an estimated $20 million on utility bills. Nearly 50 buildings in the competition demonstrated energy use reductions of 20 percent or greater. Commercial buildings in the United States spend more than $100 billion in annual utility bills and are responsible for about 20 percent of both the nation’s energy use and greenhouse gas emissions. By improving the energy efficiency of the places they work, play, and learn, the competitors will save energy and reduce greenhouse gas emissions.